Jun graduated from the University of Western Australia with Honours in 2010. While he enjoys all aspects of dentistry, he has a keen interest in preventative, restorative and cosmetic dentistry. He has a passion for achieving a high standard of care and believes healthy teeth and gums are important to a person's overall well-being. Having a wealth of experience dealing with anxious patients, he is kind, honest and gentle, who loves to know more about his patients. He believes it is important to know there is a person behind every smile. Jun regularly dedicates his time attending courses and conferences to keep up-to-date with the latest techniques and technology. 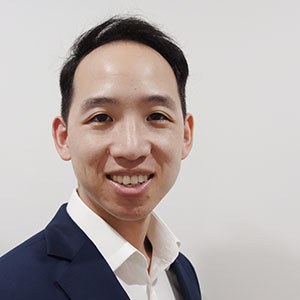 Born and raised in Western Australia, Jun loves keeping active, enjoys cooking and spending time with friends and family. While he may not admit it, his wife says he is obsessed with sports.